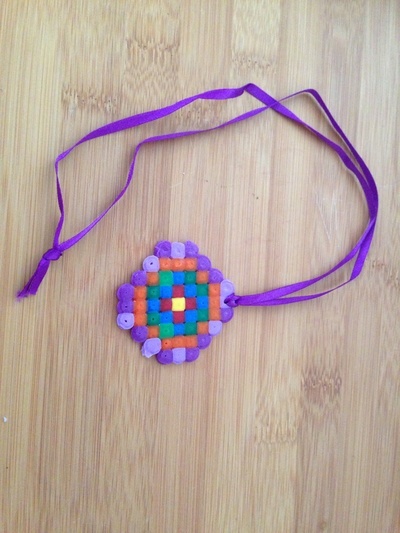 Create your own colourful necklaces or medallions using Hama beads (or other melting beads). 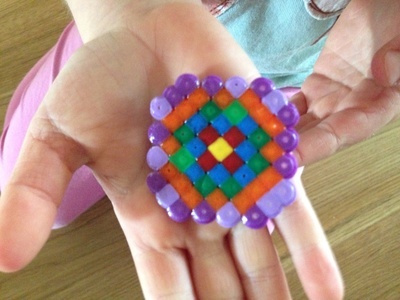 They are quick and easy but very rewarding to make. 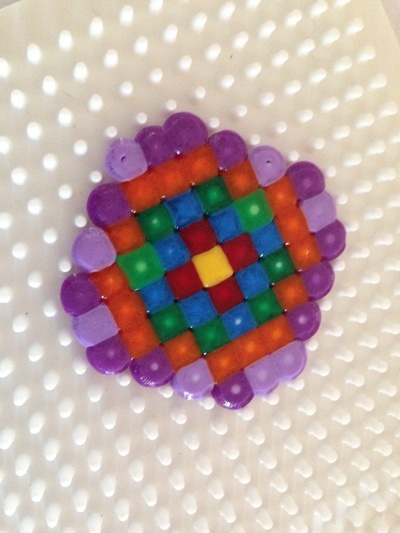 Arrange the melting beads on the mounting board in a circle shape then fill in the middle with your own design. Cover with the non stick paper. 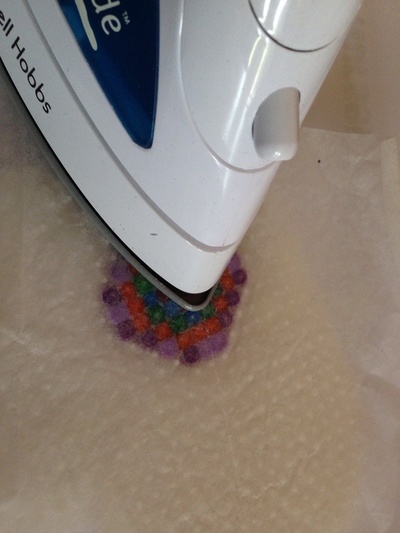 Iron on a medium heat until the beads have fused together. An adult should do this step for safety. 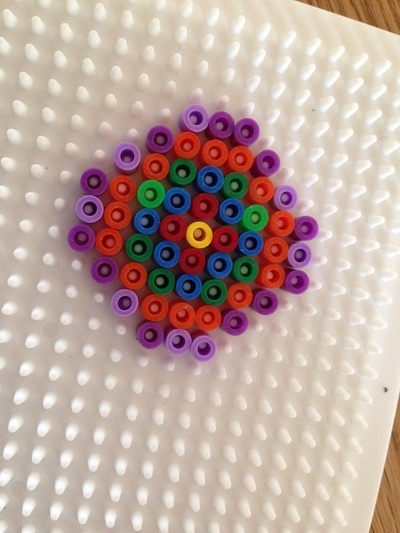 When cooled, remove the paper and peel the medallion off the mounting board. 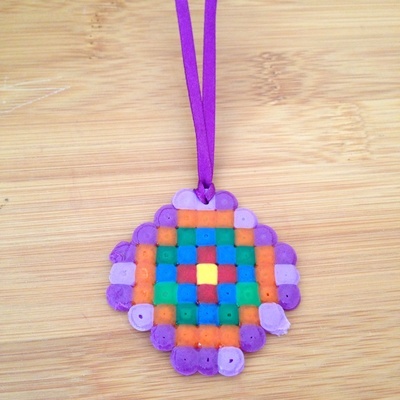 Poke a hole at the top of the medallion with a skewer. 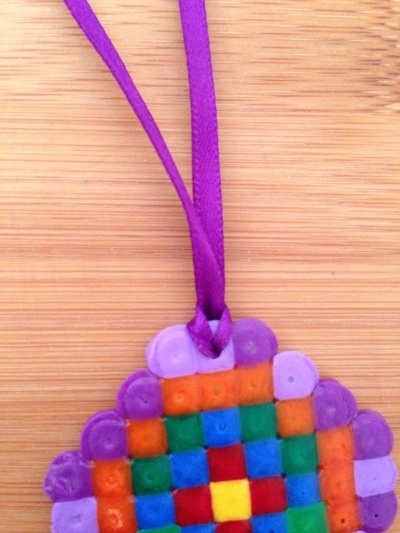 Attach ribbon through the hole to finish your necklace or medallion.